In a new series, profiles and images of important people associated with the Vanderbilt Cup Races, Long Island Motor Parkway and/or Long Island automotive history are featured. 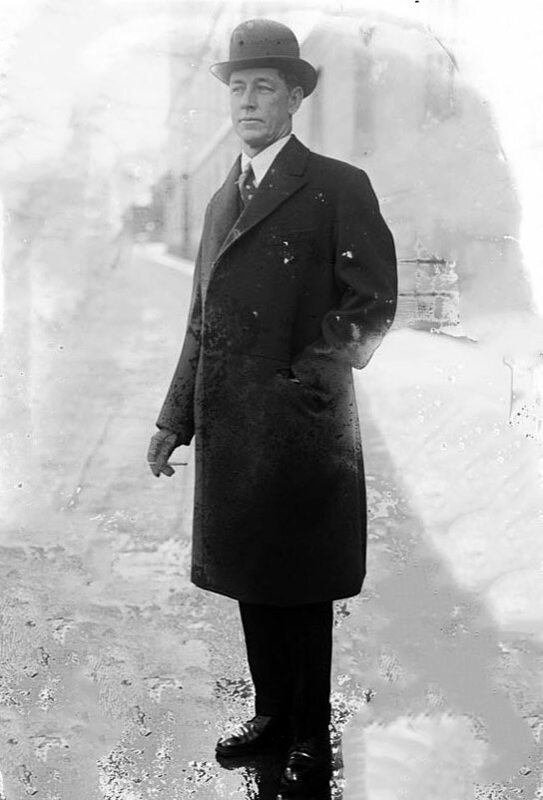 First in the series is a profile of Harry Payne Whitney, the first "first vice-president" of the Motor Parkway, a judge and director of the 1909 Vanderbilt Cup Race and was married to William K. Vanderbilt, Jr.'s cousin Gertrude Vanderbilt. Harry Payne Whitney was born on April 29, 1872 in New York City, he was the eldest son of Flora Payne and William C. Whitney (1841–1904), the very wealthy businessman and United States Secretary of the Navy. Harry was the older brother of William Payne Whitney (1876–1927). 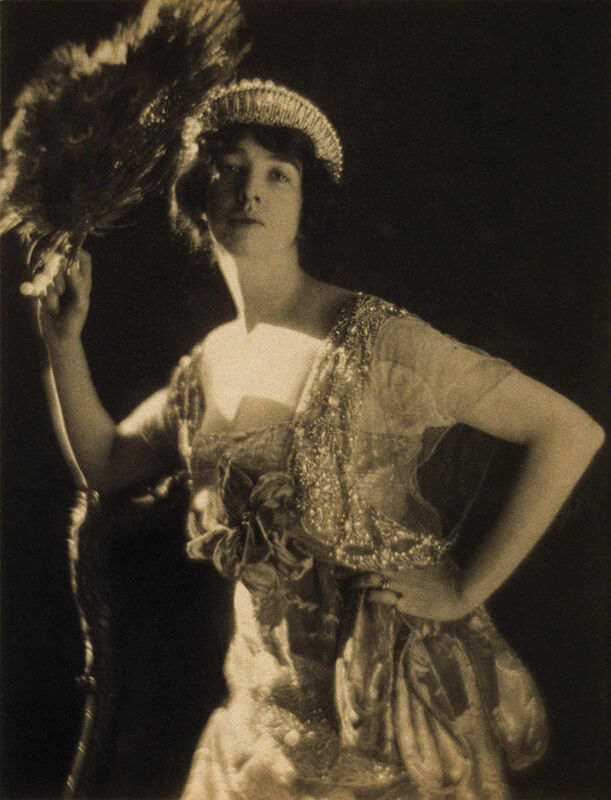 His sister, Pauline Payne Whitney (1874–1916), was married to Almeric Hugh Paget, 1st Baron Queenborough (1861–1949), and his youngest sister, Dorothy Payne Whitney (1887–1968), was married Willard Dickerman Straight (1880–1918) and later, Leonard Knight Elmhirst (1893–1974), after Straight's death. Harry Payne Whitney studied at Groton School in Groton, Massachusetts then attended Yale University, graduating with a law degree in 1894. He was a member of the Skull and Bones. In 1904, after the death of his father, he inherited $24,000,000, and in 1917, he inherited approximately $12,000,000 from his uncle, Oliver Hazard Payne. An avid sportsman, he was a ten-goal polo player. 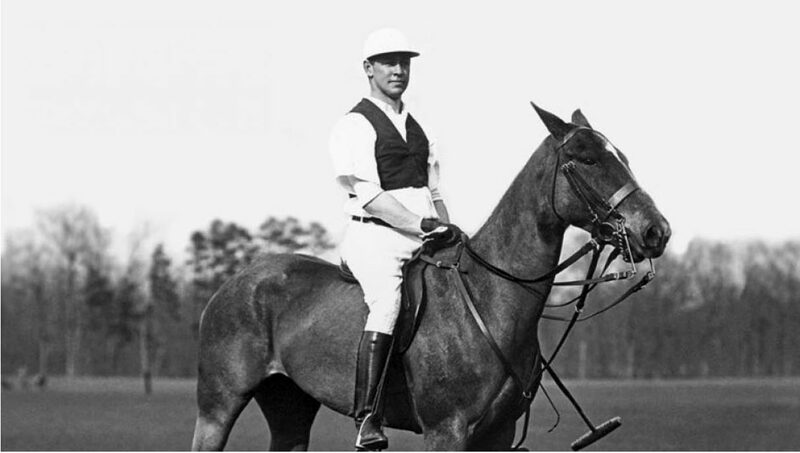 His love of the sport was inherited from his father who had been involved with polo when it was first organized in the United States in 1876 by James Gordon Bennett, Jr. H. P. Whitney organized the U. S. polo team that beat England in 1909. "Whitney Field" polo field near Saratoga Springs, New York is named for him. He was also a board member of the Montauk Yacht Club and competed with his yacht Vanitie in the America's Cup. 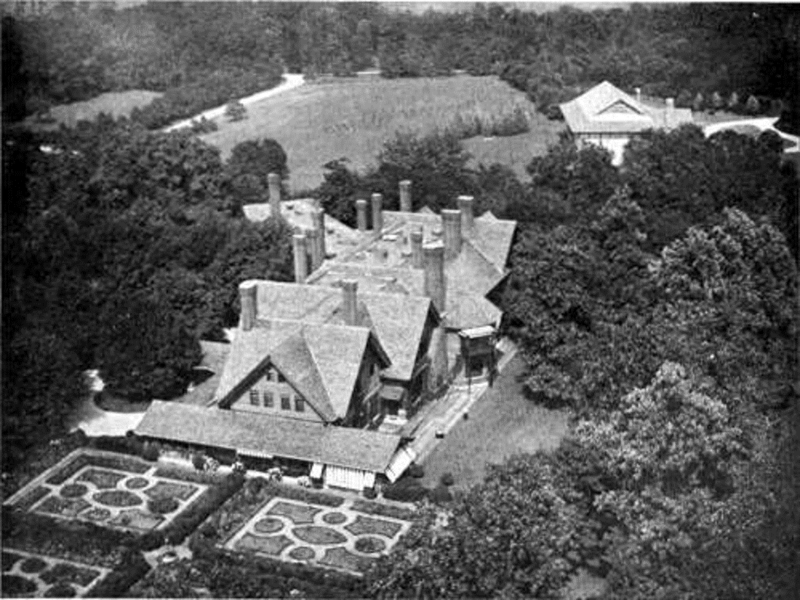 Whitney also served on the board of directors of the Long Island Motor Parkway, built by his wife's cousin, William Kissam Vanderbilt II. Whitney also enjoyed quail hunting and purchased the 14,000-acre (57 km2) Foshalee Plantation in northern Leon County, Florida from Sydney E. Hutchinson of Philadelphia, Pennsylvania. Whitney was a major figure in thoroughbred horse racing. He inherited a large stable from his father (including the great filly Artful and her sire Hamburg, and in 1915 established a horse breeding farm in Lexington, Kentucky where he developed the American polo pony by breeding American Quarter Horse stallions with his thoroughbred mares. He was thoroughbred racing's leading owner of the year in the United States on eight occasions and the breeder of almost two hundred stakes race winners. His leading sire was first Hamburg and then the great sire Broomstick, by Ben Brush. His Kentucky-bred horse Whisk Broom II (sired by Broomstick) raced in England, then at age six came back to the U.S. where he won the New York Handicap Triple. He also owned Upset, who gave Man o' War the only loss of his career. Whitney had nineteen horses who ran in the Kentucky Derby, winning it the first time in 1915 with another Broomstick foal, Regret, the first filly ever to capture the race. Regret went on to earn Horse of the Year honors and was named to the National Museum of Racing and Hall of Fame. 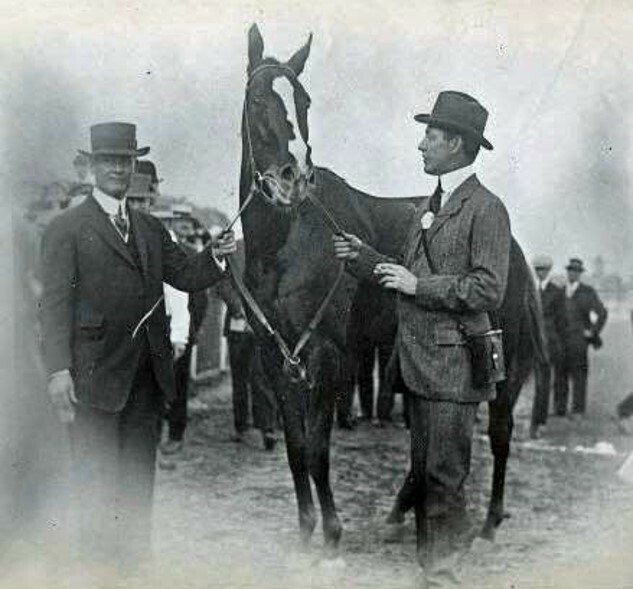 Whitney won the Kentucky Derby for the second time in 1927 with the colt Whiskery. His record of six wins in the Preakness Stakes stood as the most by any breeder until 1968 when Calumet Farm broke the record. Whitney's colt Burgomaster won the 1906 Belmont Stakes and also received Horse of the Year honors. Amongst many, Whitney's breeding operation produced Equipoise and Johren. His Lexington, Kentucky stud farm was passed on to his son, C.V. Whitney, who owned it until 1989 when it became part of Gainesway Farm. Harry Whitney died in 1930 at age fifty-eight. He and his wife are interred in the Woodlawn Cemetery, The Bronx. TIME magazine reported that at the time of his death, Harry Payne Whitney's estate was appraised by New York State for tax collection purposes at $62,808,000 net. The benefactor to many organizations, in 1920 H. P. Whitney financed the Whitney South Seas Expedition of the American Museum of Natural History, Rollo Beck's major zoological expedition that sent teams of scientists and naturalists to undertake botanical research and to study the bird population of several thousand islands in the Pacific Ocean. The Whitney Collection of Sporting Art was donated in his memory to the Yale University Art Gallery. Harry Payne Whitney had big shoes to fill both in American society and thoroughbred racing. He made it all look so very effortless. Born in New York City on April 29, 1872, Whitney was the eldest son of William Collins Whitney and Flora Payne. W. C. Whitney was a colossal figure in the fields of law, politics and military affairs. He also thrived in the stock market, prospered in numerous real estate ventures and achieved the pinnacle of success in many leisurely endeavors, including thoroughbred racing. When he died in 1904, W. C. Whitney had only been involved in racing for a few years, but he had a phenomenal impact on the sport as a visionary leader. He had also become one of racing’s most successful owners and was in the process of developing an impactful breeding operation. 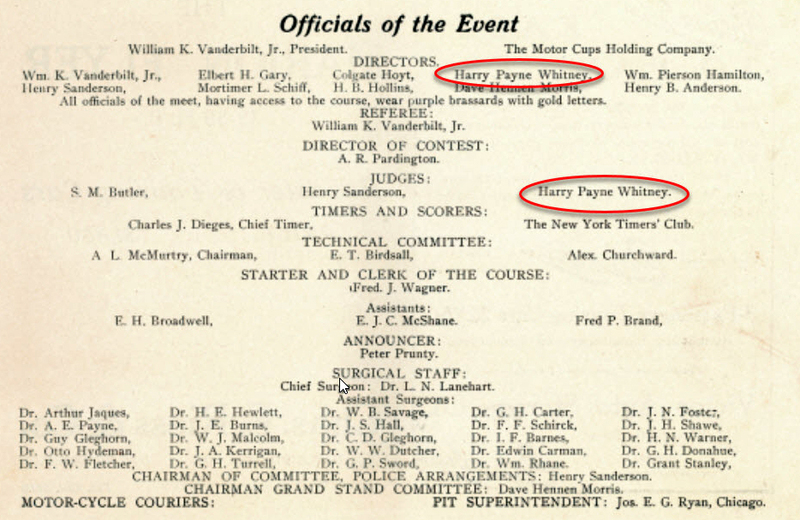 Like his father, Harry Payne Whitney graduated from Yale University. He went on to study law at Columbia but abandoned that profession in favor of becoming a force in the business world. Among his diversified interests, Whitney became president of the New York Transportation Company and chaired the board of the Hudson Bay Mining & Smelting Co. In 1896, he married Gertrude Vanderbilt, daughter of Cornelius Vanderbilt II, intertwining two of the most prominent families in America. 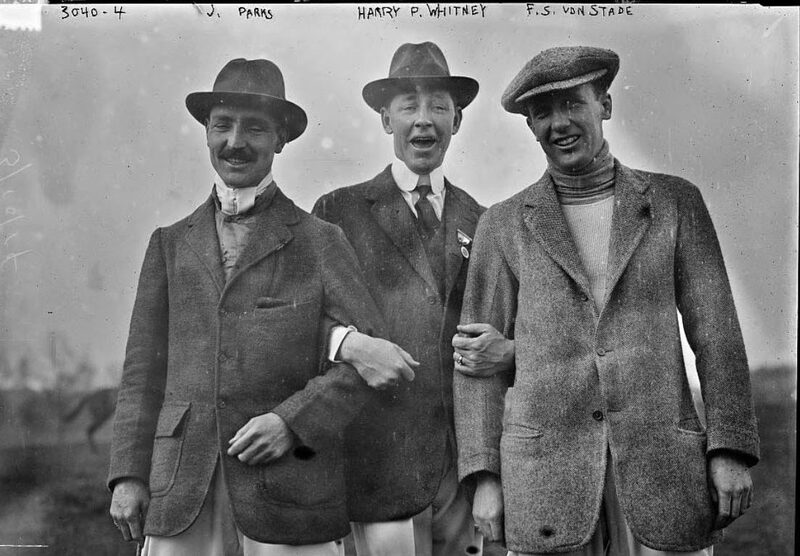 Upon the death of his father, Harry Payne Whitney immersed himself in racing and breeding. At the dispersal of his father’s bloodstock in October of 1904, Whitney purchased 16 mares and two stallions (including the great Hamburg for $70,000) as the sale’s principal buyer. It didn’t take long for Whitney to become one of the racing’s most visible and successful participants. He bred 192 stakes winners, a record that stood until surpassed by E. P. Taylor a half-century later. Twenty of the stakes winners he bred were recognized as champions: Burgomaster, Cudgel, Diavolo, Dice, Equipoise (Hall of Fame member), Johren, Maud Muller, Moisant, Mother Goose, Prudery, Regret (Hall of Fame member), Rosie O’Grady, Stamina, Tryster, Vexatious, Whichone, Whiskaway, Whisk Broom II (Hall of Fame member), Whiskery and Top Flight (Hall of Fame member). Whitney garnered significant acclaim in 1915 when Regret became the first filly to win the Kentucky Derby, which played a major role in raising the profile of the race into a truly national event. It wasn’t until 65 years later when Genuine Risk came along that another filly won the Derby. Four years after Regret’s Derby victory, a Whitney-owned colt named Upset earned a place in racing history as the only horse to ever defeat the mighty Man o’ War, accomplishing the feat in the 1919 Sanford Memorial Stakes at Saratoga. As an owner, Whitney won 10 races in the Triple Crown series: the Derby with Regret and Whiskery (1927); the Preakness with Royal Tourist (1908), Broomspun (1921), Bostonian (1927) and Victorian (1928); and the Belmont with Tanya (1905), Burgomaster (1906), Prince Eugene (1913) and Johren (1918). Whitney died at the age of 58 on Oct. 26, 1930, at his Fifth Avenue home in New York City. He had contracted a cold, which developed into pneumonia. Through the shrewd management of his business interests, Whitney had built upon his own inheritance of $10 million and left behind an estate valued at, according to The BloodHorse, $69 million. Before he died, Whitney bred the equine masterpieces Equipoise and Top Flight. Both became all-time greats of American racing while campaigned by Whitney’s son, Cornelius Vanderbilt Whitney, who inherited his father’s racing stable and breeding stock. Harry Payne Whitney was America’s leading breeder in earnings, individually or in tandem with his son, 11 times. He also topped the list of leading owners eight times. In1896, Harry Payne Whitney married William K. Vanderbilt Jr.'s cousin Gertrude Vanderbilt. Harry's stables are still standing and are part of New York Institute of Technology's campus. 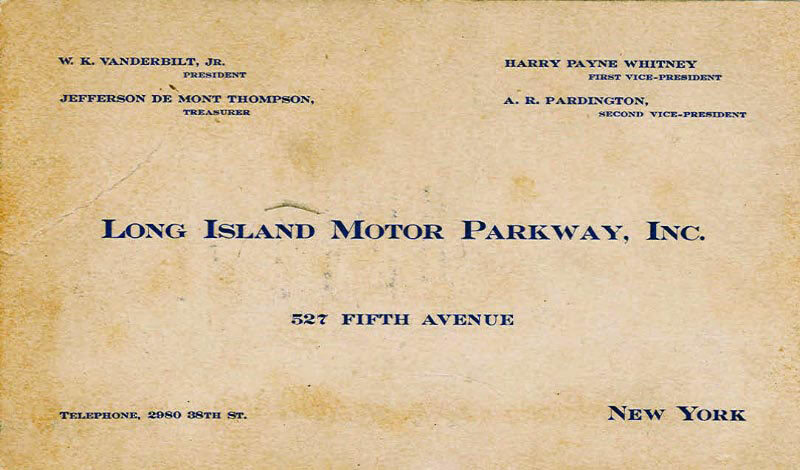 Harry Payne Whitney was the Motor Parkway's first "First Vice-President". 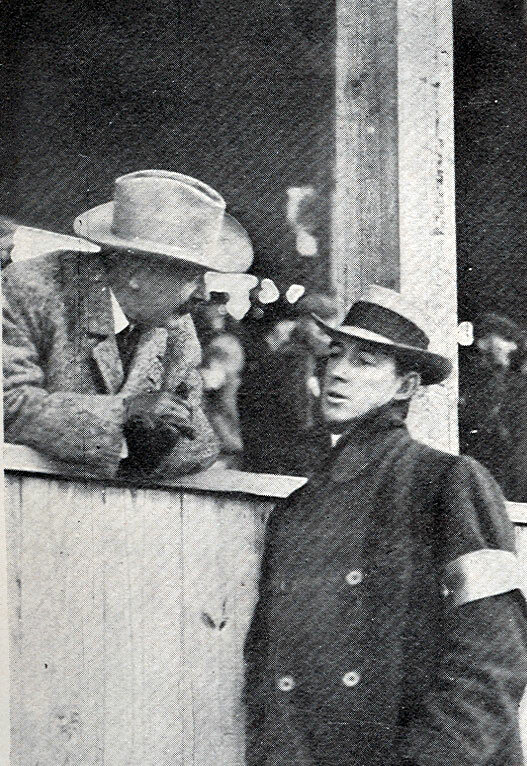 Harry (right) was a director and judge of the 1909 Vanderbilt Cup Race. Harry and one of his winning horses. Harry on one of his polo horses.